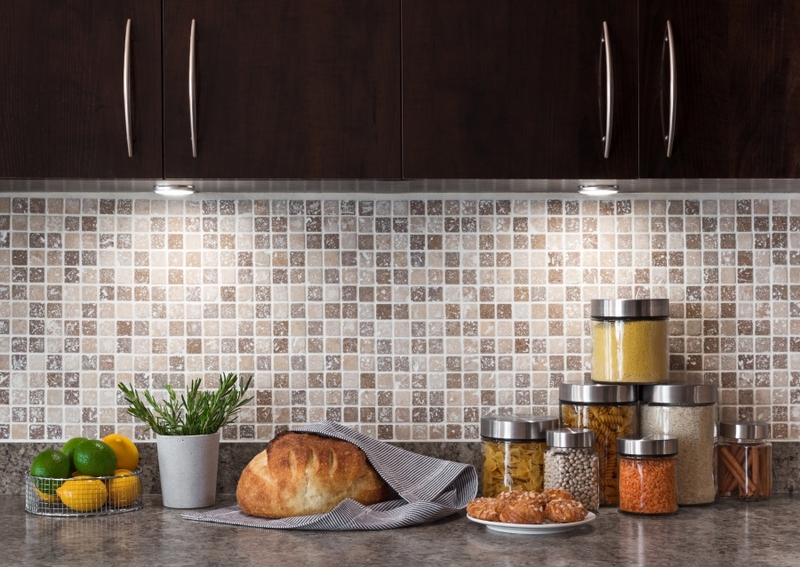 When it comes to your home’s kitchen, there are a variety of lighting solutions available to improve the look and feel of your space. From under cabinet lighting to recessed lighting, there are several fun and affordable ways to improve your kitchen’s appeal and interior decor. 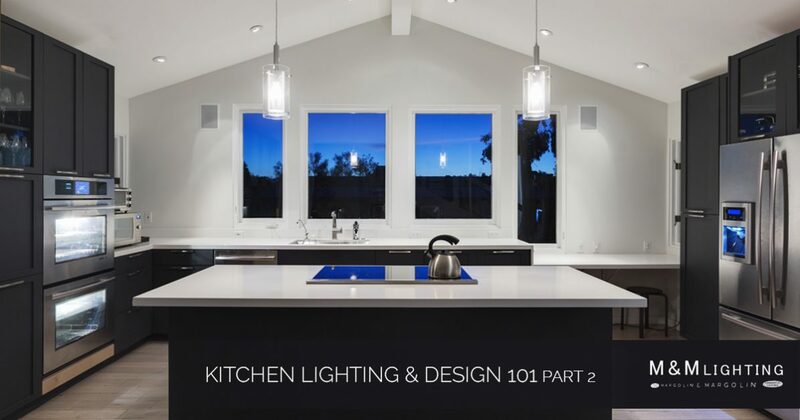 In part two of this series, we’ll discuss some more popular kitchen lighting options for your home. At M&M Lighting, we’re proud to be a leading provider of track lighting, LED lighting, and chandeliers from some of the best lighting manufacturers in the world. If you need assistance choosing the best lighting solutions for your kitchen, contact our professionals today! If you’re still on the fence about whether or not to install under cabinet lighting in your kitchen, consider the benefits below. 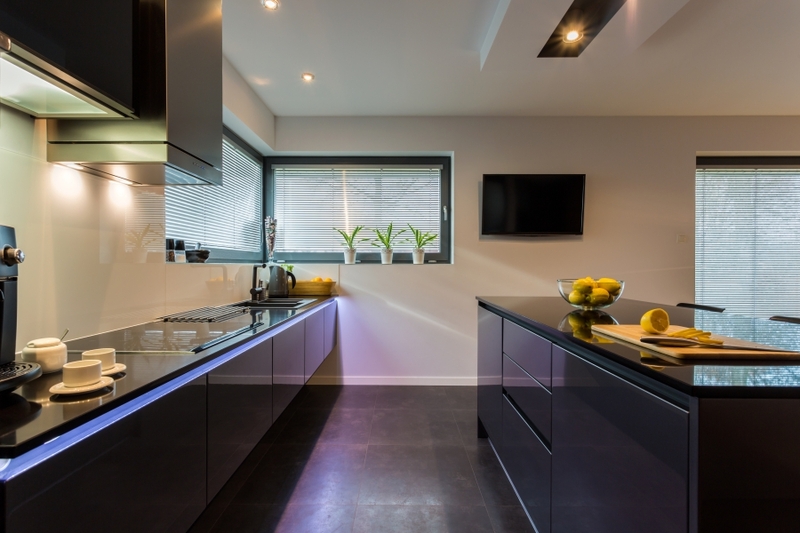 If you’re interested in learning more about the benefits of installing under cabinet lighting in your kitchen, contact the lighting experts at MM Lighting today. When you make a point to invest in under cabinet lighting, you’ll save a significant amount of money on your home’s energy bills. This can be especially true if you install LED lights. Under cabinet lighting can be relatively easy to configure and install. Unlike pendant or recessed lighting, some varieties of under-cabinet lighting will only require you to screw or nail-in a strip of lights underneath your cabinets. When you install under cabinet lighting, you don’t run the risk of casting shadows all over your kitchen. Since you’re not standing between a kitchen ceiling light and the counter, you don’t have to worry about shadows impeding your ability to cook. Another great lighting solution to consider for your kitchen is recessed lighting. This type of lighting offers a variety of benefits to the homeowner. If you need assistance choosing the best recessed lights for your kitchen, contact the lighting professionals at MM Lighting today. If you’re looking for an affordable way to make your home’s kitchen pop, consider investing in recessed lighting. Recessed lighting allows you to create a soft glow anywhere in your kitchen, no matter what appliance or item you’re looking to highlight. If you have a small kitchen, recessed lighting can help give the illusion that your kitchen is larger than it actually is. The subtle and welcoming glow of recessed lighting will blur boundaries of your kitchen to make the space appear larger. As a neat and unobtrusive lighting design, many homeowners love to install recessed lighting in their kitchen. An easy way to add excitement and style to your kitchen is to install a chandelier. At MM Lighting, we offer some of the best modern, contemporary, and transitional style chandeliers to help accent your kitchen or home. Before you purchase the first beautiful chandelier you find online, consider the tips below. Aside from the design and style of your kitchen chandelier, there are a few main factors to think about when shopping for this light fixture. If you purchase a chandelier that is too big or too small for your space, it can result in a disproportioned and unappealing look. For example, a 30-inch tall chandelier that hangs in a room with eight-foot ceilings can make a room look too crowded. If you purchase a chandelier that is too small for your kitchen, it may appear dwarfed by guests and visitors in your large kitchen. When in doubt, contact a lighting professional to help you choose the best chandelier for any room in your home. If your kitchen has an island, pendant lighting may be a great option for you. These single light fixtures are suspended from the ceiling by a chain or rod and they are available in a variety of styles of colors. While finding a pendant light for your kitchen may seem overwhelming, below are a few tips to consider. The size of your kitchen should be considered when shopping for pendant lights. Depending on the size of your space, the pendant size will vary. A larger kitchen will benefit from pendants that offer large, prominent shades. On the other hand, a smaller kitchen will benefit from petite shades or thin pendants to help make the space feel bigger. If you need help choosing the best pendants for your kitchen, contact the professionals at MM Lighting today. As you may already know, pendant lights come in several different shade options. While some shades are made of metal, porcelain, and even wood veneer, each shade will illuminate on a different scale. For the most light, it may be best to choose pendants with transparent shades. Depending on the type of lighting you’re after, you should be able to find a pendant that matches your kitchen’s interior decor that provides an ample amount of light. M&M Lighting is proud to offer some of the best kitchen and home lighting solutions available on the market today. Whether you need help choosing the best recessed lighting for your kitchen, or you need help locating a specific part of your existing pendant, our professionals are here to help. Browse our lighting options online or contact us today to learn more!